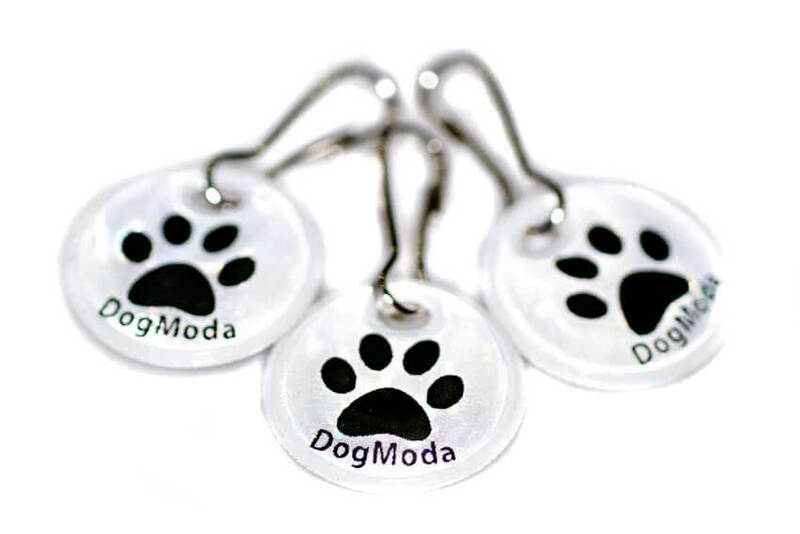 This large paw-shaped reflective dangler tag is ideal for attaching to your pet collar, lead or your clothes for road safety. Great functional present, as these reflective paws greatly improve visibility at night time, and as a result increase safety during walks. 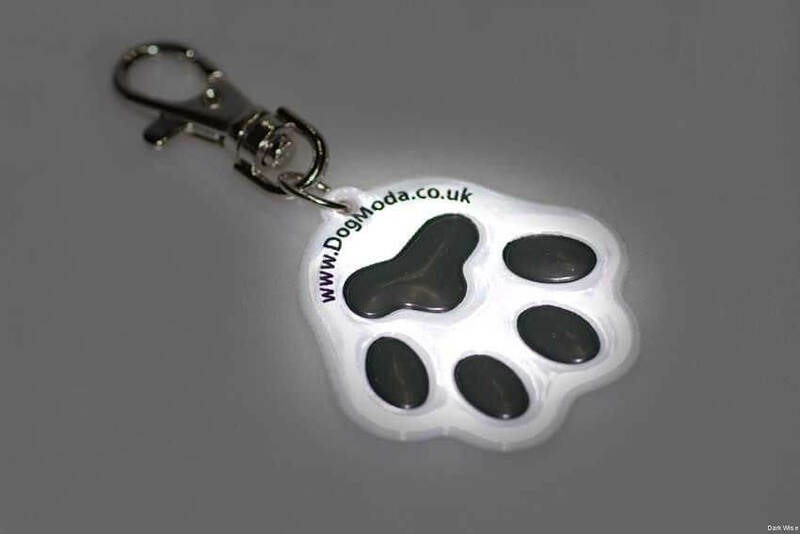 Reflective on both sides and made of high visibility white & black prismatic PVC. 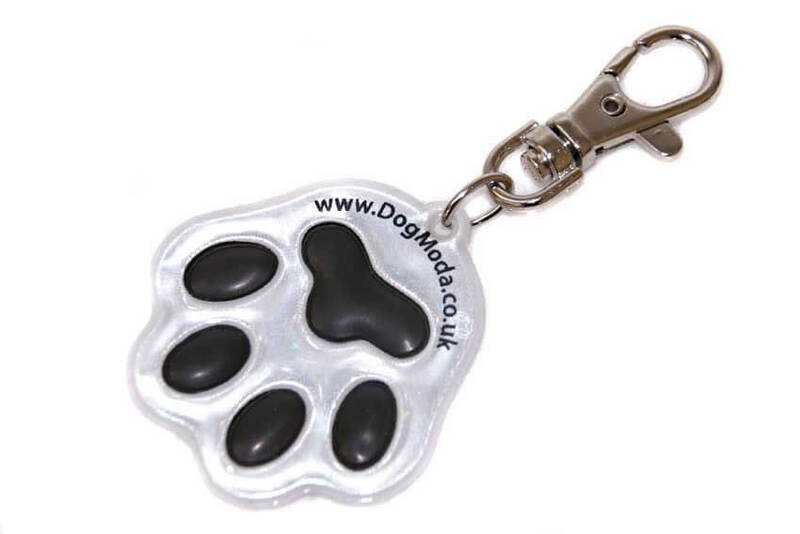 This stylish reflective safety dog paw dangler can save lives by making you and your hound visible to oncoming traffic from as far as 300m away.